Frieda (Wurzer) Lane, age 89, passed away peacefully in Dedham Healthcare on Wednesday, February 06, 2019. Born in Munich, Germany on August 11, 1929, she was the daughter of the late Xavier and Anna (Eiberger) Wurzer. She was raised in a small town just outside Munich, helping her family care for their farm. Frieda met her husband to be, Raymond E. Lane, while he was stationed in Germany with the U.S. Army. She was working at a guesthouse where Ray and some of his buddies from the Army came into one evening. It was love at first sight. They were married a short time later in 1953. When it came time for Ray to return to the United States of America, Frieda stayed behind in Germany, while she finished applying for her paperwork to join him. She quickly joined Ray back in the U.S., and together they made their first home in Norwood, Massachusetts. Frieda found work with the Plimpton Press in Norwood, taking a position as a book binder and in 1958, Frieda and Ray settled in Walpole, Massachusetts. As a proud German citizen, Frieda make frequent times back to her home country and also embraced her culture at the Von Trapp Family Lodge in Vermont. 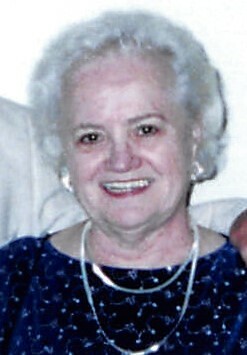 Beloved wife of Raymond E. Lane. Loving mother of Ingrid Lane of Tampa Bay, Florida. Sister of Elizabeth, Anna, and Hedwick. Relatives and friends are kindly invited to attend Frieda’s Mass of Christian Burial that will be celebrated in Blessed Sacrament Church, 10 Diamond Street, Walpole on Tuesday, February 12, 2019 at 10:00 AM. Interment will follow in Knollwood Memorial Park in Canton. Visiting hours are respectfully omitted at the request of Frieda’s family. In lieu of flowers, memorial donations may be made to the Council 1319 Building Association, Knights of Columbus, 137 Stone Street, Walpole, MA 02081. Arrangements by James H. Delaney & Son Funeral Home, Walpole.